Can you integrate Google Now/Discover into Nova Launcher's home screen like on Pixel Launcher? Yes. The Google Discover page found in Pixel Launcher can easily be recreated in Nova Launcher with our companion tool. This requires a separate installation via sideloading, as the app isn't available in the Google Play Store. Before installing the Nova Google Companion App, you'll need to be running Android 5.0 or above, as well as Nova Launcher 5.3 or above. The Infinite Scroll feature found in Nova Settings > Home screen > Scroll must also be disabled. Keep in mind that Google Discover is owned and maintained by Google, so Nova is unable to provide any sort of custom options within Discover. Can I have different wallpaper on each page of my home screen? No, this isn't currently possible in Nova Launcher. Can I set different wallpapers for my home screen and lock screen? As long as your phone is running Android 7.0 or above, you can set different home and lock screen wallpapers when setting your wallpaper. Can I create folders on the home screen? Yes. Drag one icon on top of another to create a folder on the home screen. Alternatively, you can drag folders directly out of the app drawer. How can I get persistent weather to show up in the search bar? Persistent weather options are considered "unsupported" due to limitations on Google's end. As a result, this option is found in the Labs menu of Nova Launcher. To enable the Labs menu, open Nova settings and hold the volume down button. After a short amount of time, the Labs menu will appear. To increase the chances of weather working properly, your phone will need to be running Android 6.0 or above. This still doesn't guarantee that the feature will work, but it helps. You can enable weather by heading in the Labs menu and ticking the "Allow weather" box. How do I disable the weather option in the Google Search bar? First, head into Nova Settings > Home screen > Search bar style and disable the "Weather" option at the bottom. Then go to Nova Settings > Labs and deselect the "Weather in search bar" option. The date in the search bar widget is cut off. What's wrong and can I fix it? This is likely due to a DPI issue. Either change your system font or adjust the DPI of the display if possible. Why aren't app shortcuts working for certain apps? Most app shortcuts are supported on Android 7.1 and above, so if your phone is running a version below that you'll get very limited access to the app shortcut functionality. It's worth noting that due to API restrictions, these can't be ported to any Android version older than 5.1. If you want app shortcuts in a particular app, you'll need to contact that app's developer. All app shortcuts are handled on a per-app basis---Nova doesn't handle these shortcuts. Finally, Nova will need to be set as your default launcher before app shortcuts will work. The app shortcuts menu is showing double entries. How can I fix this? Restart Nova Launcher in Nova Settings > Advanced. This should correct the problem. Can I set certain apps to use Dynamic Badges while others use Numeric Badges? No. It's not currently possible to use two different badge types in tandem. How do I enable Dynamic Badges, Notification Dots, Numeric Dots, or Numeric Badges? These are only available in Nova Prime, but once you've purchased it you can find Badge options in Nova Settings > Notification Badges. Numeric Badges (not to be confused with Numeric Dots) require TeslaUnread to be installed before they'll be available. Can I change the on-screen navigation buttons? You can only change the navigation buttons on rooted devices or certain OEM Roms. This isn't something Nova Launcher is capable of doing. I want to hide the back button on the home screen like on Pixel Launcher. Is that possible with Nova? Unfortunately, this feature is exclusive to Pixel Launcher and no other app is allowed to hide the back button. Is there a way to get Android 9.0's gestures with Nova Launcher? Unfortunately, this settings is exclusive to Android Pie and not something that can be enabled with a launcher. How can I get the app drawer button back? The button to open the app drawer can be replaced a couple of different ways. First, long-press on the home screen and choose "Widgets." Then Nova Actions > App Drawer. This will add an app drawer button to the home screen which you can then place in the dock. Alternatively, you can head into Nova Settings > Backup & import > Quick start and choose "Dock icon" for the drawer style. Can I sort the drawer icons? Currently, Nova sorts all apps and folders alphabetically in the drawer, and there isn't a way to customize this behavior. I can't change the app drawer button. What's wrong? Try disabling Night Mode. You should be able to change the drawer button after that, then you can restore Night Mode if you wish. Can I set separate wallpapers in the app drawer and home screen? Unfortunately, that's not possible at this time. Can I hide apps in Nova Launcher's drawer? There's an option to hide apps in Nova Settings > App drawer > Hide apps. Keep in mind, however, that this is meant to be an organizational tool and not a way to globally hide apps. Any hidden apps will still show up on the home screen and in search. If you want to completely hide an app, you'll need to use a third-party tool as this isn't something Nova Launcher can do. Can I create folders in the app drawer? Yes. Head to Nova Settings > App drawer > Drawer groups > Folders to create new ones. Can I add a blur effect to the app drawer or folders? At this time we have no plans to add any sort of blurring effect to Nova Launcher. I can't find Dock Settings! Where did they go? Starting with Nova 6.0, Dock Settings have been moved to Nova Settings > Home screen > Dock. Is Nova Launcher Prime a one-time fee? 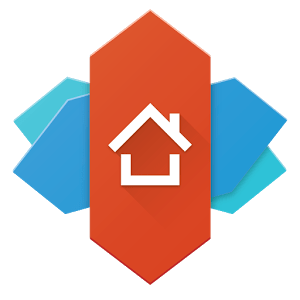 Nova Launcher Prime is a one-time purchase and will allow you to re-install it on any Android device as long as you use the same Google account you paid with. Do I need to have Nova Launcher and Nova Prime installed to get Prime features? Yes. The Nova Prime app is just an unlocker for all the features in Nova Launcher. Prime features won't be available if the Prime app isn't installed. Can I transfer my purchase of Nova Prime to another account? Yes. We'll need your receipt for the original Nova Prime purchase, as well as the exact email for the new account. You should be able to find your original Nova Prime receipt in Google Pay if you have it set up. Once you've found the original receipt, use Nova Settings > Contact to send a copy of the receipt and the new account. From there, we'll help transfer your Prime account over. I want a refund for Nova Prime. How can I get one? Before we can provide a refund, we'll need the receipt from your Prime purchase---you can oftentimes find this info in Google Pay > Activity. It's worth noting that we're unable to provide a refund if you purchased Nova Prime more than 30 days ago. With the proper info in hand, please contact Nova Support with the subject "Refund." Attach your proof of purchase along with the refund request. Once we've processed the refund, the Nova Prime license will be invalidated. How can I get rid of the ads in Nova Launcher and Nova Prime? No version of Nova Launcher contains ads. If you're experiencing ads in Nova, it's likely caused by another app. I’m using Android 4.x (or below) and Nova no longer updates in the Play Store. Why? Nova 6.0 and above requires Android 5.x or higher. In Android 6.x (Marshmallow) the notification shade animation is slow. How do I fix this? Unfortunately, this is due to a bug introduced in Marshmallow and is currently unfixable without upgrading to Nougat (or above). Alternatively, there's a solution for this issue on devices with root access for those unable to upgrade to an updated version of Android. Does Nova support double-tapping to turn on/off the screen? If your device supports turning the display off by double tapping, you can double tap the notification bar at the top of the screen to execute this feature. Alternatively, can you set a custom gesture to do the same thing in Nova Settings > Gestures & inputs. Due to API restrictions, we're not able to turn the screen on with a double tap in Nova Settings. This is a per-device feature only. How do I enable the Labs section in Nova Launcher? Open Nova Settings and long-press the volume down button until the Labs menu appears (it's below Backup & import settings). Yes. In Nova Settings, scroll down to "Contact support" to send a feature request. All requests are handled internally and not posted publicly. Note: Just because a feature is often requested doesn't necessarily guarantee its inclusion in Nova Launcher. How can I send a crash report to the support team? There are two ways of doing this, though the first method highlighted below is preferred. First, enable Developer Mode on your phone, then enable USB debugging and Bug Report Shortcut. If you're not sure how to do that, head here for full instructions (Note: the process may vary slightly depending on which version of Android you're phone is running). With that set up, hold the power button and select "Take a Bug Report" the next time your phone crashes. Alternatively, you can head into Nova Settings and long-press the volume down button, which will enable Nova Labs. From there, choose Labs > Debug > Show Device Info > Email, which will send us debugging info that includes the latest crash report. This method isn't as preferred, though it can also be helpful in some situations. Can I help beta test Nova? You certainly can! To become a beta tester just opt-in to the beta channel. How can I translate Nova Launcher into other languages? All Nova translations are handled at Crowdin Translations. All translations are included in the next major release of Nova Launcher, assuming everything is complete and correct. Does Nova Launcher collect any personal data? How can I directly contact support? You can get in touch through Nova Settings > Contact support or sending an email directly. If you're having a specific issue, using the Contact support button in the app will provide us with detailed information that will help.